Sergio Bitar’s Prisoner of Pinochet has been released in English. [i] It claims to show the “triumph of the human spirit”. The cliché is misapplied. There are lessons for those remembering 1968, as we approach May Day. No human spirit triumphs submitting to lies. Bitar describes harsh imprisonment after the US-backed coup against Salvador Allende in 1973. Allende was elected president of Chile in 1970, heading a leftist coalition aiming for socialism, with agrarian reform, and nationalization of mines, banks and large industries. A Harvard educated economist, by 1972 Bitar was one of Allende’s top advisors. In 1973, he became minister of mines. After the coup, with others of Allende’s government, he was detained for eight months on Dawson Island, near the Antarctic. There’s a silly refrain: What doesn’t kill you makes you better. It’s not true. Suffering makes us self-absorbed and fearful, or can. At the end of the book, thirty years after his arrest, Bitar is honored. By now, he is minister of education. He reflects on having risen “from the ashes… to rebuild democracy”. He doesn’t know what it is. He lives on a continent with the greatest inequalities in the world, where, as Simón Bolívar declared in Rome in 1805, the meaning of human freedom would become clear. It wasn’t clear in Europe, whose philosophers Bolívar admired. He knew their “freedom” didn’t apply to those “even lower than servitude, lost and worse absent from the universe”: the colonized. On a three-day visit to Cuba in 2014, Bitar engages in what some call “academic tourism”: attend a conference, talk to academics, tour sites, and publish. [ii] Don’t bother with research. And if you’re a politician, give an interview. In his book, Bitar applauds resisters. The prisoners were visited by the Organization of American States Human Rights Commission. 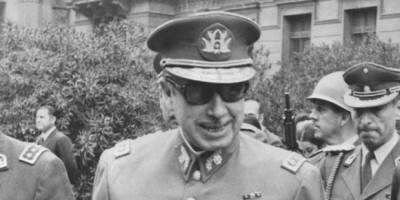 Bitar expects nothing, since the group is accompanied by a Chilean politician favouring Pinochet. To his “great surprise”, a “frightening” report appears, accompanied by petitions. Bitar praises the investigators’ courage. He doesn’t possess it. Interviewed in Cuba, with no reference to analyses by Cuban or even US scholars, he declares the country “pathetic” and “backward”. The issue is not that he holds such a view: It is that he does not defend it. He does not have to. If you state what “we all know”, you don’t have to defend your view. When a belief is taken for granted it doesn’t need defense. But if there is an opposing view, defense is required. A rival argument requires that we defend, and indeed acknowledge, what is taken for granted, without argument. Hence the enormous and courageous contribution of Cuba. Its traditions go back hundreds of years. Bolívar said the US sent South Americans misery in the name of liberty. He knew the US lied about liberty. Mike Pence lies about it still, when he says, in Peru, that all “free nations” condemn Venezuela. In 1961, at an economics conference in Punta del Este, Uruguay, Che Guevara noted a similar claim by the then US president. JF Kennedy said all “free nations” condemn Cuba. Bitar should know these lies. He languished in a concentration camp because of them. I didn’t participate in the 1968 events. But I knew the ideas, at least as they pertained to freedom. “We” were free and good. “They” were unfree and evil. It didn’t add up because “we” were bombing Asian kids, dropping Napalm that made their skin peel off. Then I became a philosophy professor and learned that the lie is alive and well long after 1968. It is taught as philosophical liberalism. There are other views of freedom, such as those of Marx and Lenin. We stopped teaching them after 1990 because “everyone knows” they are useless. Except we don’t know that. Worse still, we don’t know that we don’t know that. That’s what happens when a view has no challengers, or none that are recognized. Fidel Castro always insisted his 1959 revolution began in 1868, Cuba’s first war of independence. The philosophical traditions, thoroughly rejecting the decrepit liberalism/libertarianism that dominates the US left, go back further. I’ve studied them for 25 years. When I first went to Cuba, I wasn’t political. I went for a philosophy conference. But truth is political for reasons expressed by Che Guevara at Punta del Este. It was not an economics conference, Guevara declared. It was political because the US president’s declaration about “freedom” was a declaration of power. And it required no defense. None was provided. Just like Bitar’s declaration about Cuba. The Spanish edition of his memoire, Isla 10, published in 1987, sold out thirteen editions in Chile. It became an acclaimed docudrama, with a leading Chilean actor playing Bitar’s role. The book is about how people suffered because of lies. Allende died because of those lies. His democratically elected government was destroyed with help from the “leader of the free world”, the only country on the planet where children routinely slaughter other children with guns in schools. It is irresponsible for anyone who cares about 1968 to condemn Cuba and Fidel Castro without adequate defense. Without those traditions, politicians or activists, claiming to be on the left, like Bitar, get away with stupidities. Again, it is not what Bitar says. It is that he does not defend what he says. And he does not have to, as long as the relevant rival position is denied, buried, and unfairly mocked. On May Day, remember Ana Belén Montes. [iv] Her story is a triumph of the human spirit. She sacrificed her career for truth. Please sign petition here. This article was originally published on CounterPunch. Susan Babbitt is author of Humanism and Embodiment (Bloomsbury 2014). She is a frequent contributor to Global Research.